Worship services are at 10AM every Sunday, except the month of July. Reverend Sillari typically preaches three Sundays a month. On Sundays when Reverend Sillari is not preaching, the worship committee organizes what we call Lay Services, where a guest minister, church member, or community member will enter the pulpit. This is an opportunity for our minister to spend time with her family and/or attend ministerial and spiritual retreats and for our congregation to open our minds, hearts, and thoughts to other points of view. 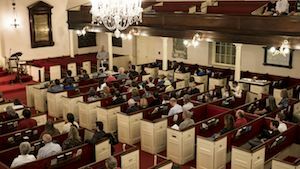 No two worship services at First Parish are alike. Services address elements of life, humanity and spirituality, and draw on a variety of religious and spiritual practices from across the globe and history. Through music, readings, poetry, prayer, meditation, ritual, and sermon, we strive to provide a rich and full spiritual experience. We offer childcare for young children as well as Religious Exploration classes (link to Children & Youth page) for school-aged children, though children are always welcome to stay for the entire service. Since 2013, First Parish has been offering theme-based ministry, which means that the worship committee and minister designate one theme per month for the upcoming church year. Ideas for these themes have come from research and congregational input through surveys and conversations. 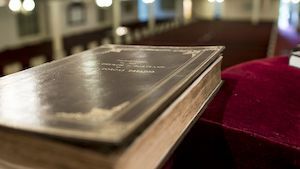 Sermon topics each week relate to the theme in various ways, sometimes obviously, sometimes tangentially, and sometimes in direct opposition to the theme. This allows the minister, the worship committee and the congregation to gain more meaning and to delve deeper into each designated theological theme. Examples of past monthly themes include: Joy, Embracing Change, Home, Light, The Greater Good, Speaking Our Truth, Compassion, Transformation, Wonder & Awe, Perception, Immigration, Grace, Faith, Justice, Sound, Abundance, Peace, Creation, Communication, Prayer/Meditation. 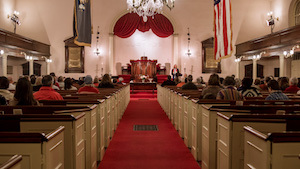 As with all Unitarian Universalist congregations, First Parish has its own services and rituals rich with tradition despite not having a creed. Outlined below are some of the special services that take place at First Parish. For more information on timing of these, please check out our calendar. The first service of our church year. Click here for more info on this UU tradition. 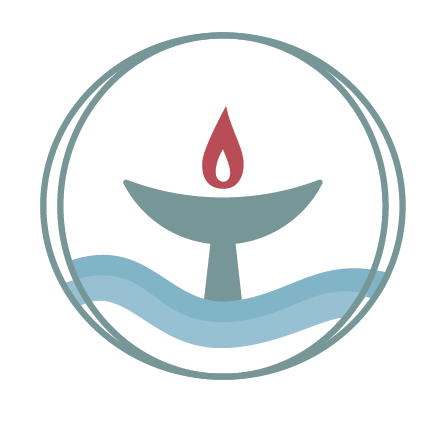 Unitarian Universalists honor the spiritual teachings of earth-centered traditions which celebrate the sacred circle of life and instruct us to live in harmony with the rhythms of nature. An intergenerational autumn service before Thanksgiving celebrating our wider community through a communion ritual which honors the Native People of the land. Typically the Sunday one or two weeks before Christmas. The Nativity Pageant and Vespers Service has been running at First Parish in Portland since 1926. Non-denominational in nature, this historic Nativity Pageant makes no political or religious statement. Rather, it uses a combination of music, historic text, and tradition to honor the birth of one of history’s great prophets and the birth of each child. After a short vesper service which sets a contemplative tone, the story of the Nativity is told in music and readings while the cast, bit by bit, creates a tableau that replicates a Fra Angelico-style painting. Some of the costumes have been created from fabrics brought back from the Holy Lands by nieces of Henry Wadsworth Longfellow. Light bulbs in the 30 sconces in the church are replaced by candles. It is a truly magical hour in which we stop, quiet our hearts, and remember the spirit that this holiday represents. This special worship service was written by the Reverend Vincent Silliman, minister of First Parish from 1926-1938. An intergeneration service early in the evening honoring and celebrating Christmas with stories, music, singing, prayers. December 24. A justice service in honor and memory of The Reverend Doctor Martin Luther King Jr.
A service dedicated to our Great Mother Earth. Powerful themes of renewal and transformation lend weight and gladness to our Easter worship traditions. A service entirely dedicated to music. Our music director, church choir and musicians combine their talents to create a very memorable experience. A service created and led by the children in our Religious Exploration Program. This is an annual worship service led by members of our Youth Group. Frequently one of the last services before summer Lay-led services begin. Bring a bloom or two to share with the rest of the congregation. 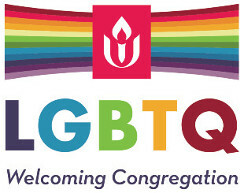 Click here for more info on this UU tradition. Twice each year we celebrate and welcome both our new babies and children and our new members with Child Dedication services and the New Member Ceremony. We also offer a Bridging Ceremony at the end of the church year for youth who are graduating from high school.